Bit of a catch up of the last two Degustabox offerings - New Year and the January box as I have fallen very much behind. 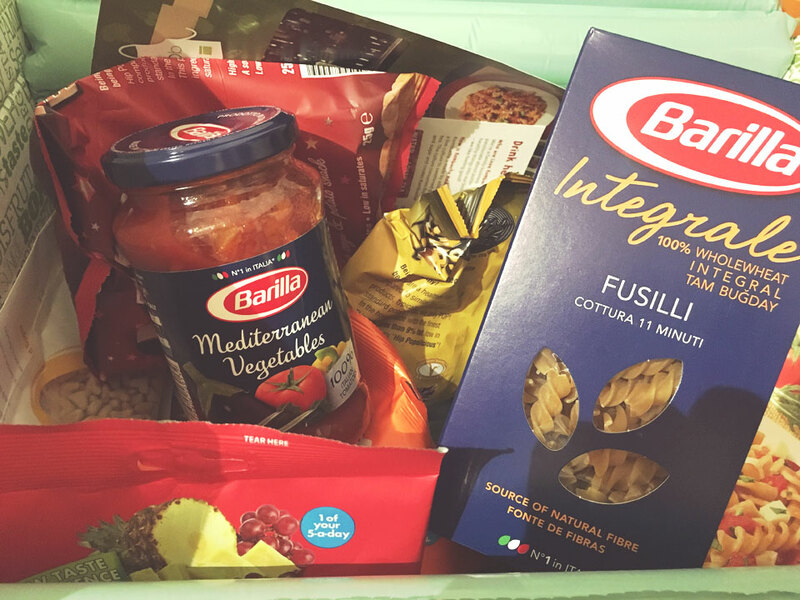 Firstly for New Year healthyness was a box containing pasta, sauce and light snacks. 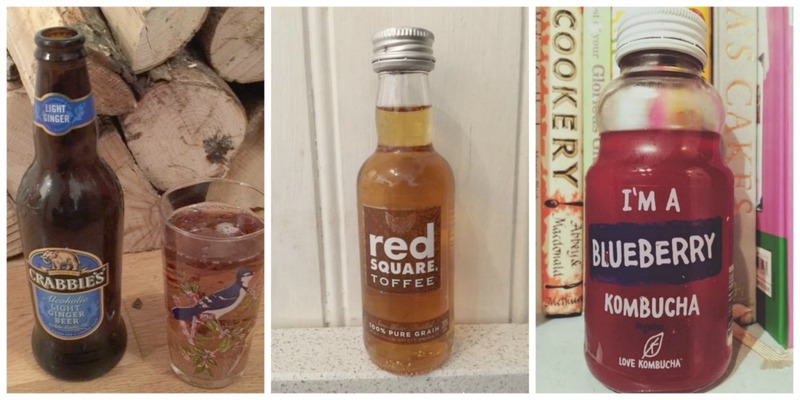 Drinks this month were Crabbies Light and Red Square Toffee Mini. I had the latter and OH had the Crabbie's Alcoholic Light Ginger Beer which isn't his normal type of drink. However, he did enjoy it and the ginger beer flavour reminds him of Dorset holidays. A bottle costs £1.49 and next time I'll have a drink of it as it is my kind of summer drink. As a treat I snaffled the Red Square Toffee Mini which was like pure silk, that is the best way to describe it, a proper dessert drink, it's a vodka drink but so sweet that I didn't really taste it (good!) £1.99, a good one to pop in with a birthday present as a little extra. Finally the Blueberry Love Kombucha which was not very nice at all and we both thought it tasted off or really fermented. One sip each I'm afraid. The drink does actually descibe itself as fermented and packed with probiotics, organic enzymes and amino acids to boost immune system and aid digestion! £2.25. Not one for us. I'm sure lots of people will really like them and they are a super snack at under 80 calories. 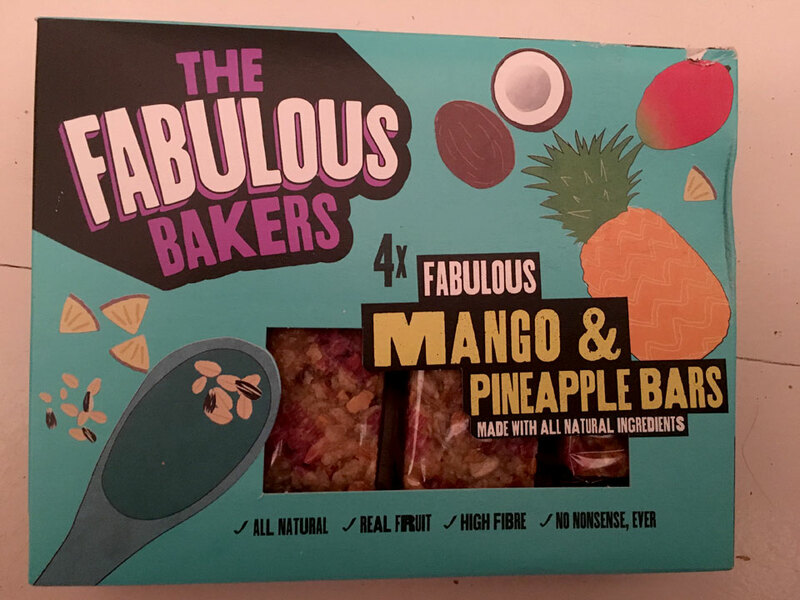 One of my favourites - Fabulous Bakers, and their new Mango and Pineapple bars. We took them as snacks for our days out and at less than 200 calories a bar, not too bad with a salad lunch. We are tracking calories at the moment so although healthy we were aware that as a snack it's possibly a bit more calorific than our usual less than 100 treats. 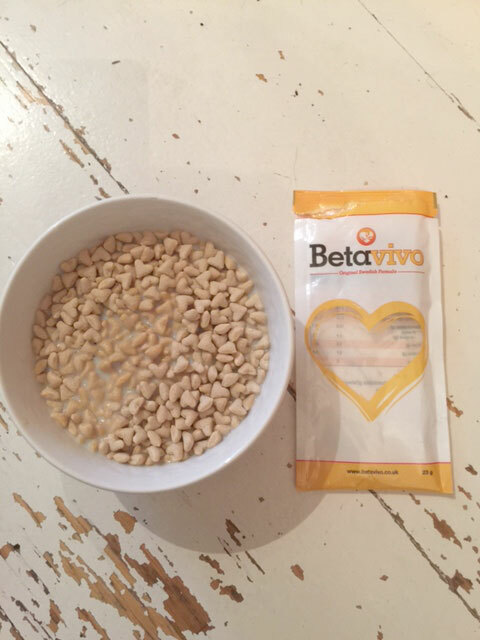 The bars are very filling though and made with natural ingredients - real fruits and slow release oats to keep the hunger at bay. £1.80 per pack. More snacks and hooray some crisps as I love crisps and could eat them all day! 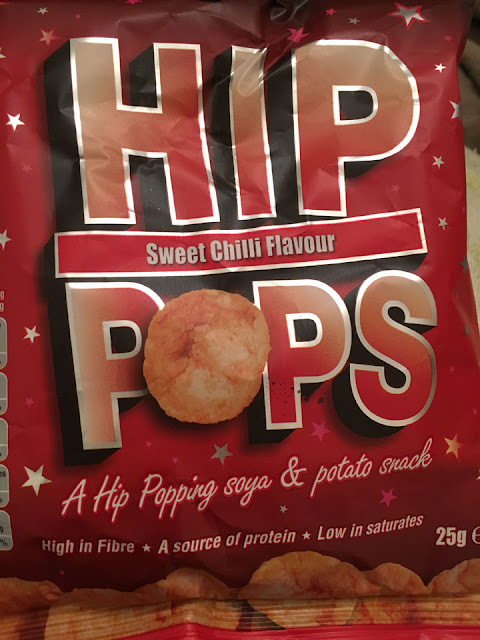 Hip Hops, £1 a bag, come in 6 tasty flavours of which 4 are gluten free which is really good to know as I like trying GF products and adding to my knowledge bank of what's on offer. 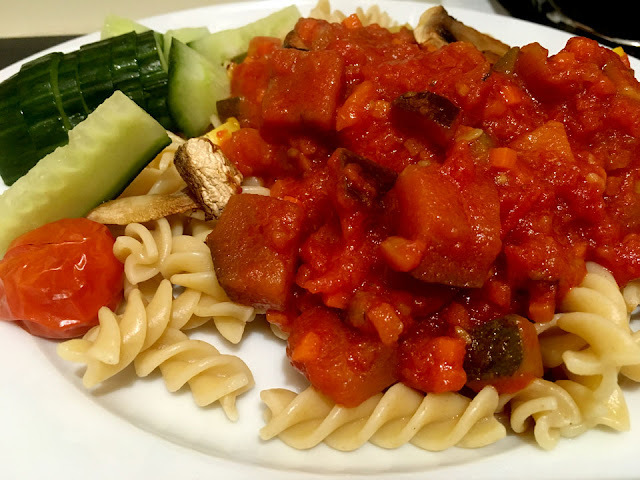 Especially good as with having an autistic son I'm wanting to try a gluten free diet for him and it can be hard to find snacks. The fat content in the potato crisps is lower than standard so healthier than other crisps. My absolute weakness and would buy again. 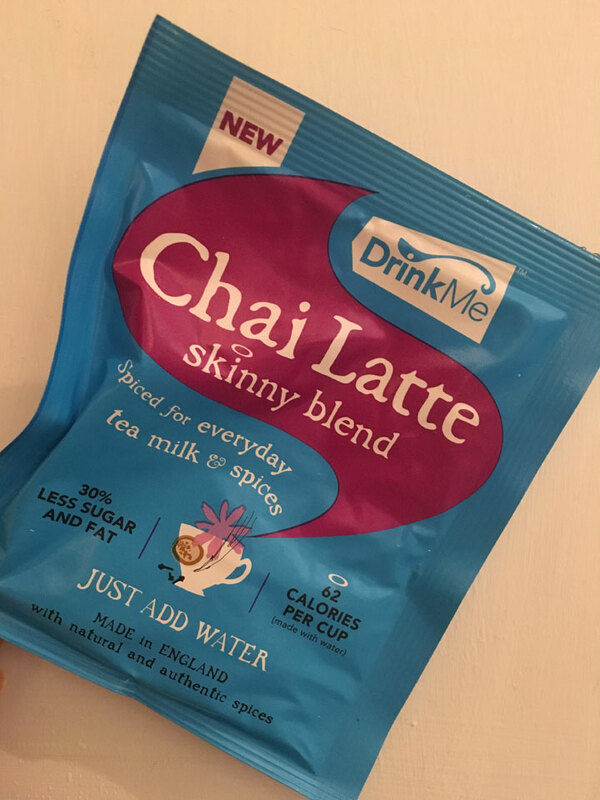 I have been wondering for ages what a chai lattes were and now I wonder no more for in this New Year box was a sachet of Skinny Chai Latte spiced with a hint of clove! Just 42 calories in a cup which is the same as my diet hot chocolates and nice as an evening drink. I've not acquired the taste as yet but it sounds trendy and I'd perhaps give it another whirl. Finally some Compete Energy Bites that I passed to the OH as I don't like anything energy related like drinks plus they have gelatine in and as a vegetarian I don't eat it. Not sure on these kinds of products, looks very masculine, artificial and I wouldn't buy or encourage OH to have them. 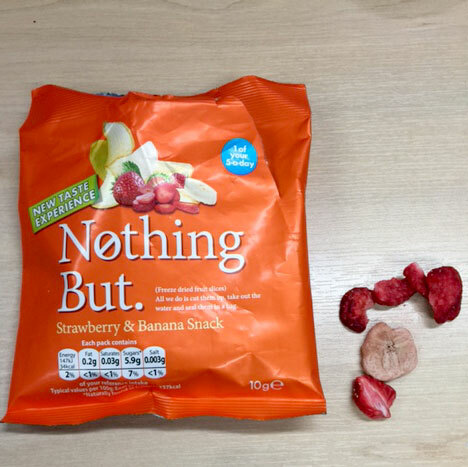 £1.99 per packet and they were basically a chocolate infused with caffeine that they recommend taking 5 mins before exercise, driving, partying or studying....I say have a banana instead. Sorry. Degustabox is a great way of trying new products, a total surprise each month and the anticipation of what's in them is really exciting. If you would like to try, BLDEG15 will fetch you a grand £6 discount on your Degustabox.